This year’s international retreat, hosted by Vinnie Marino, is one not to be be missed! Spend 8 days/7 nights in an exclusive community on the Mexican Pacific beaches of the south coast of Jalisco, Mexico. This year we will be staying at 4 neighboring private Villas within walking distance of each other and the beautiful private yoga studio that we will practice in daily. A short walk further from the Villas, and you will find yourself on the beach of Costa Careyes - a pristine beach resort with crystal blue water for kayaking, paddle boarding, and other beach activities. 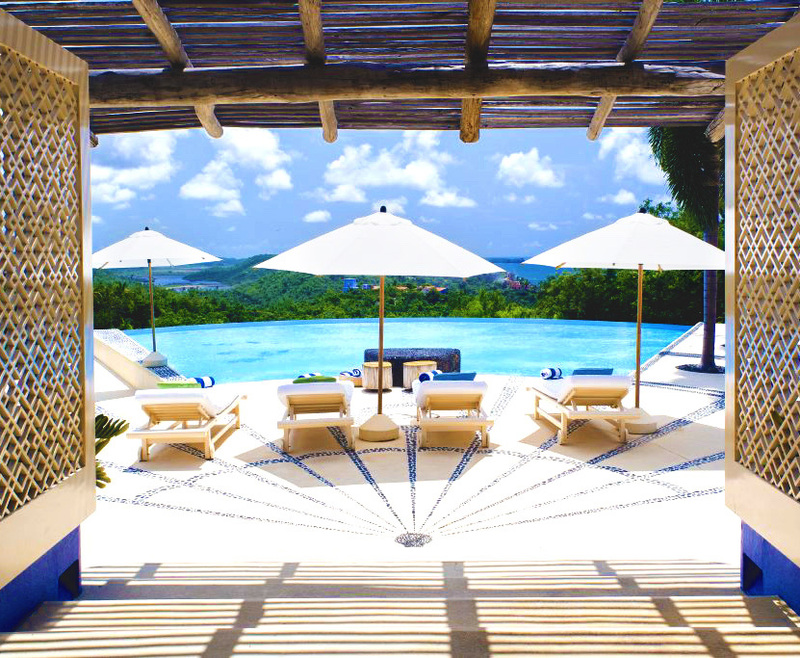 Each Villa has been artfully designed with indoor/outdoor living areas, gorgeous pools, and air conditioned bedrooms. Additionally, each Villa is fully staffed with daily housekeeping & turn-down service and 3 delicious meals served per day. Early bird pricing ends 12/2. A deposit of $800 is required to reserve your spot. PLEASE NOTE: Once you submit your deposit, we will send you a questionnaire to request your room preference. We will do our best to accommodate your requests, but due to limited rooms in each tier, cannot guarantee room placement. Price includes a 7 night stay, breakfast, lunch and dinner (dinner is the only meal served on the first night and breakfast is the only meal served on the last day), as well as yoga! Guests are responsible for booking their own travel to/from Manzanillo Airport (about 1 hour drive away from retreat). Airport transfer is included in price. Please book your flight into Manzanillo Airport (ZLO), arriving on Saturday, March 2, 2019 and leaving Saturday, March 9, 2019. There are direct flights from LAX offered through Alaska Airlines. Yes! Breakfast will be provided in your villa each morning. Lunches and dinners will be eaten together at the main villa near the yoga studio. On the first day (March 2), dinner will be provided. On the last day (March 9), breakfast will be provided before you leave. Yes, private airport transfers are included in the price of your trip. When you arrive at Manzanillo airport, you will be greeted by a private driver and driven (about 1hr 15min) to our retreat location. There are no required vaccinations for travel to Mexico. However, there are some recommended (suggested) vaccinations given by the CDC. To see the complete list of what is recommended, please visit the CDC Website and consult with your primary care physician to make a decision on what is best for you. A non-refundable, non-transferable deposit of $800 is required to hold your space. Payment in full is required by January 2, 2019. To receive Early Bird pricing, payment in full is required by December 2, 2018. In the event of a cancellation, your entire payment will be refunded less the $800 deposit if the cancellation is made by December 2, 2018. All payments are non-refundable after this date. Travel Insurance: We strongly recommend that you purchase travel insurance for your trip. There are many travel insurance companies to choose from but Travelex and World Nomads are two reputable organizations for worldwide travel coverage. 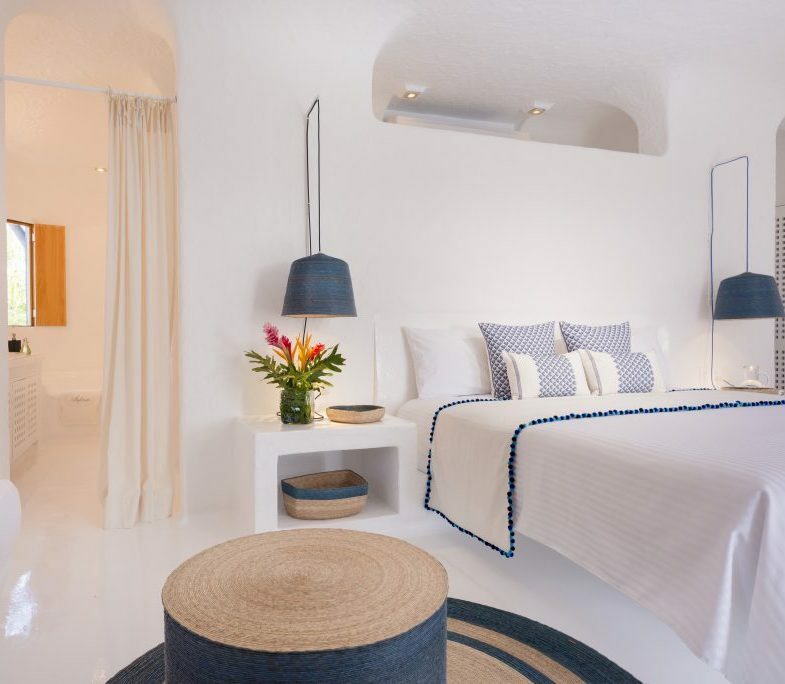 Located in the exclusive seaside community of Costa Careyes (www.costacareyes.com), 3Casas is a group of neighboring luxury villas. Each Villa sleeps 8-12 people. Each bedroom comes with a private bathroom. Each villa has 24/7 staff, and its own pool. It is a short 5-10 minutes walk between villas and the yoga studio. Also a short walk away is the private beach resort at Costa Careyes where you can swim, rent kayaks/paddleboards, or check out the restaurants and shops in your free time. Why are there different tiered rooms? Because we are staying at private homes and not a hotel, each room is a little bit different. We’ve done our best to group rooms into 3 tiers based on their amenities, and to offer fair prices to attendees. Tier 1 rooms come with an ocean view and a private balcony. These rooms may be more spacious and come with a king bed and private bathroom. Tier 2 rooms have an ocean view, but no balcony. These rooms come with a king bed or 2 queen beds, and a private bathroom. Tier 3 rooms have a jungle view. These rooms have either a king bed or 2 double beds. These rooms are closest to the yoga studio. We will do our best to accommodate room requests, but cannot make any guarantees. Attendance varies, but we expect between 30-40 attendees. No, but you do need a valid passport that is more than 6 months prior to its expiry date. All payments to YogaWorks after December 2, 2018 are non-refundable & non-transferable. The purchase of travel insurance is strongly recommended to ensure you are covered should any unexpected event arise. A personal, political, environmental or weather-related incident or pre-existing medical condition may prevent or interrupt your travels. These events are rare but do occur and underscore the importance of being covered by travel insurance. Should you elect to not purchase travel insurance, you will be assuming 100% of any costs incurred for trip cancellation or trip interruption. TravelEx and World Nomads are two reputable organizations. There is a broad spectrum of policies and options so make sure you are clear on what exactly is covered. What if I’m traveling alone?